OUR TOW TRUCK IS READY TO HELP YOU URGENTLY 24H. The tow truck provides its services throughout Estonia and if necessary, anywhere in Europe. Especially if you are in an accident, you find yourself unexpectedly on the side of the road or your car just needs to be transported to the car service. Above all we appreciate professionalism. The courtesy and accuracy of communication is the basis of success. Quality is determined by the client. The company takes responsibility for the work done. 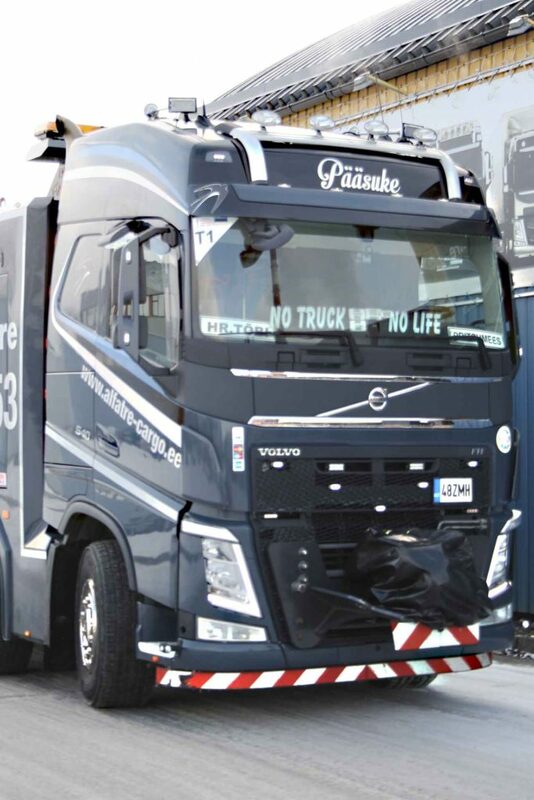 Alfatre trademark connects three companies that are strong in their respective classes in the field of trucks. We have joined our forces with one aim – to offer the best service in the aftermarket to our clients. Regardless of the brand of the vehicle, you have at your disposal the best experts in their field at the workshop, spare part shop and on the road. We will also find a solution in the most challenging situations. Knorr-Bremse, WABCO, MAN Nutzfahrzeuge, Volvo Trucks, Mercedes-Benz, DAF Trucks NV, EMPL Fahrzeugwerk are our long-term cooperation partners. We give our absolute maximum to justify our client’s trust. We dare to take responsibility for the work we have done and the spare parts delivered. These are not just empty words, but reality!